No new cats were with us on Saturday. 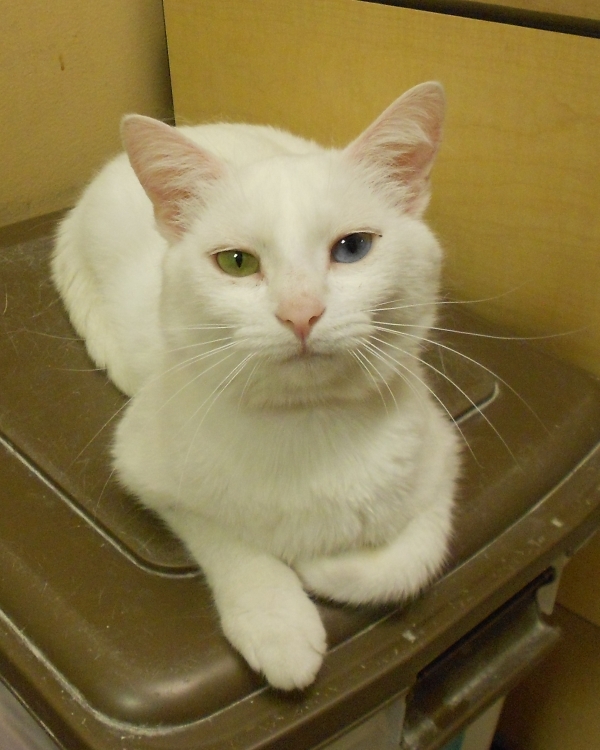 When we were in the store yesterday, however, there was a new cat, because Kami was adopted during the weekend. Sweet girl – we hope she has a good life. Also adopted last week: Smiley.